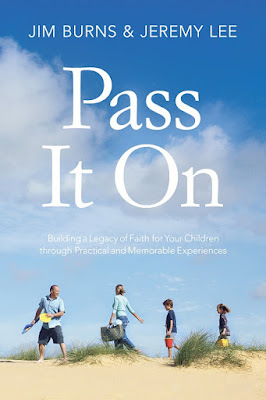 Pass It On draws its inspiration from Deuteronomy chapter 6:4-9. “Love the Lord your God with all your heart and with all your soul and with all your strength. These commandments that I give you today are to be on your hearts. Impress them on your children. Talk about them when you sit at home and when you walk along the road, when you lie down and when you get up” (verses 5-7, NIV). This short passage provides God’s blueprint for the successful transmission of faith from one generation to the next. Encouraging parents to step boldly into their roles as the spiritual leaders in their home, Pass it On shows them how to invite their children with them on a journey of discovering their faith. Clearly outlining annual, experiential, age-specific rites of passage, this book makes it easy to reinforce the values that will form the foundation of a young person’s spiritual life. And it’s never too soon or too late to begin. 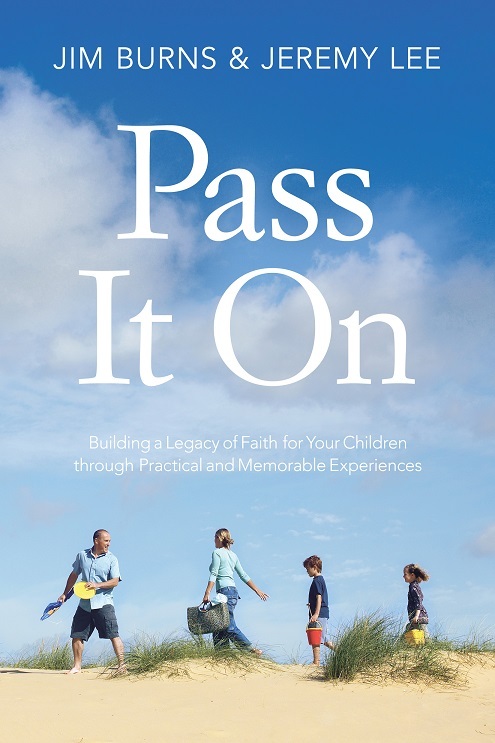 Whether it’s the generosity rite in kindergarten, where youngsters participate in a service project, or the manhood/womanhood ceremony for high school seniors, Pass it On is filled with practical ideas for parents. It includes specific information to share at each event, gifts or contracts to present, questions to ask and stories of others’ experiences for inspiration. Asking moms and dads to think generationally, Burns and Lee remind readers the work they’re doing isn’t just for their own children, but for their grandchildren, great-grandchildren and beyond. Ultimately, Pass it On calls parents to the bold act of changing the trajectory of their family’s faith legacy for generations to come. For more information about Jim Burns, visit www.homeword.com or follow him on Facebook (Homeword) or Twitter (@drjimburns). To keep up with Jeremy Lee, visit his website or follow him on Facebook (yojeremylee) or Twitter (@yojeremylee). 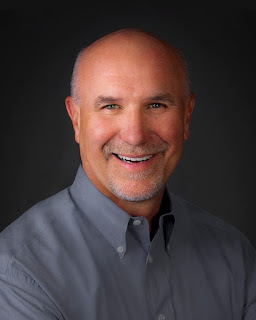 Jim Burns is a renowned youth and family expert, acclaimed author and founder of the HomeWord radio program that reaches more than 1 million people across the country every day. 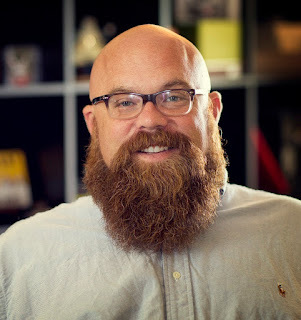 He is president of HomeWord and executive director of the HomeWord Center for Youth and Family at Azusa Pacific University, a research and training institute offering biblically based resources for parents and youth. Under Burns, the center has become the largest provider of Christian parenting and youth seminars in the United States. Burns speaks to thousands annually at leadership, marriage and parenting events around the world. He has more than 1.5 million resources in print in more than 25 languages. Burns is a three-time Gold Medallion Award-winning author and has written books for parents, youth workers and students, including: Faith Conversations for Families, Teenology: The Art of Raising Great Teenagers, Closer: 52 Devotions to Draw Couples Together, Confident Parenting, The Purity Code and Creating an Intimate Marriage. Most recently, he co-authored a premarital resource with Doug Fields called Getting Ready for Marriage: A Practical Roadmap for Your Journey Together that has an accompanying workbook and online app. Burns, his wife, Cathy, and their three daughters, Christy, Rebecca and Heidi, live in southern California. Connect with Jim Burns at www.homeword.com, or follow him on Facebook (Homeword) or Twitter (@drjimburns). To keep up with Jeremy Lee, visit his website or follow him on Facebook (yojeremylee) or Twitter (@yojeremylee).